There are 2 parts to the certification, an exam and a portfolio. The exam pass mark is 75% and is administered by SME. You will lean the bronze exam questions and answers. 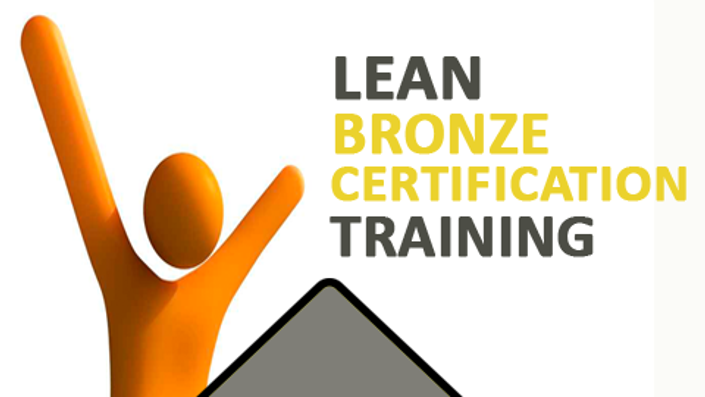 This product contains a 283-slide training deck + a set of 174 practice lean bronze exam questions with answers.
" We asked Vishnu to run a workshop at a finance conference, introducing lean thinking to our finance and administration area, this was a difficult task as lean is most often seen as a manufacturing process, but Vishnu was able to create a great event, engaging the team in the concept and then leading them through to project start. Very creative use of the material and very worth while event"
" I highly recommend Vishnu for anyone looking to improve productivity and quality manufacturing systems. I hired Vishnu because I needed someone to teach basics of world class manufacturing systems to a production team in a short space of time. Vishnu is a powerful presenter and trainer in that he is without a doubt an expert in his field and also a very personable trainer who can get his message across through use of games and exercises. Through his training, the team has stepped up remarkably to be a strong and disciplined unit, improving quality and throughput and highly visible systems that manages itself. Thank you Vishnu, for your contribution!"